All Month: Mulled Wine all the time! 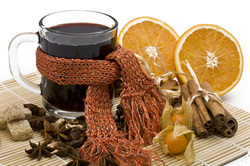 Penns Woods Winery will be serving spiced mulled wine in addition to our regular tastings! We have our most popular mulled wine kits for sale! They make the perfect hostess gift for any party!